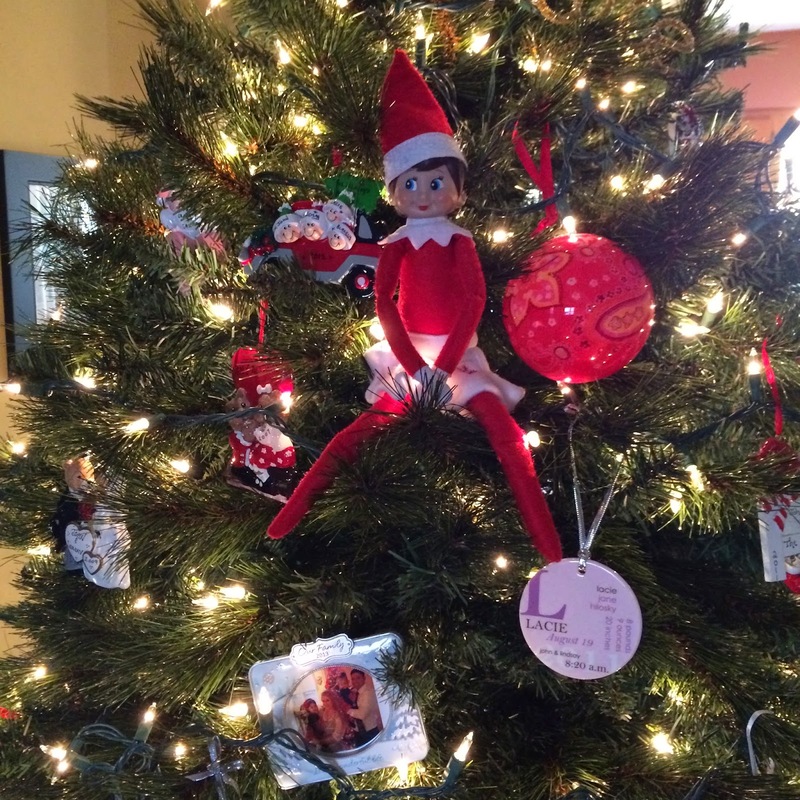 Cocoa, our Elf on the Shelf, is back for her second year at the Hilosky House! She returned about two weeks ago when we put up our Christmas Tree! Even though it was a bit early, I felt it was time for her to make her return. I'm trying to fit in lots of Christmas stuff before Paisley Jean makes her arrival in less than two weeks! 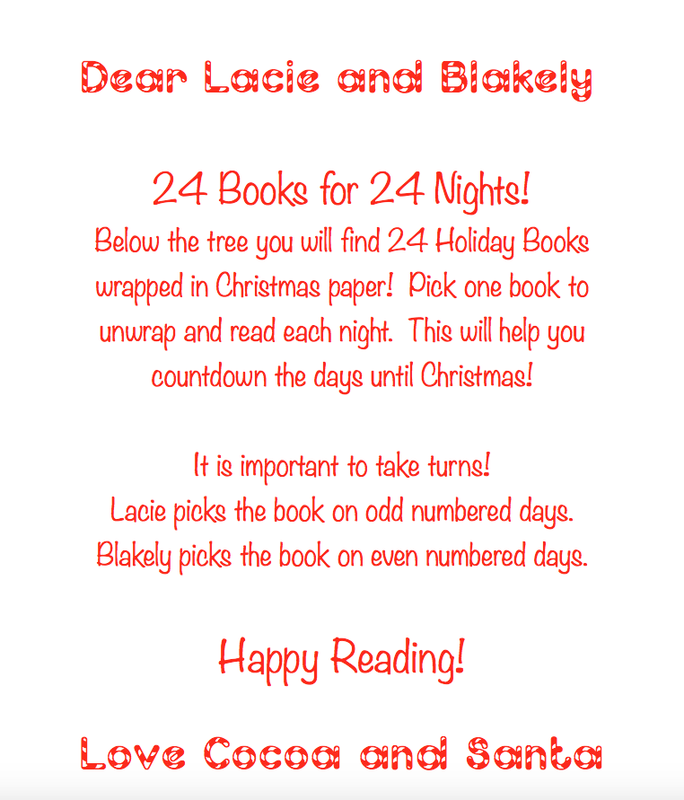 She arrived with this sweet little letter for Lacie and Blakely from Santa Claus! 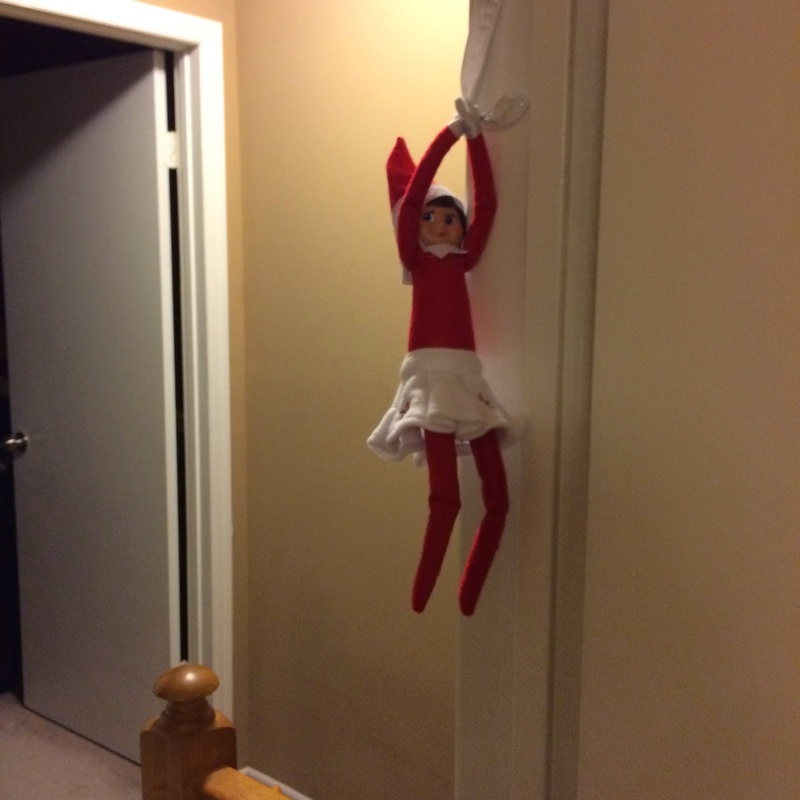 It was taped to the girls' bedroom door and Cocoa was hanging right in the doorway so they saw her as soon as they woke up! 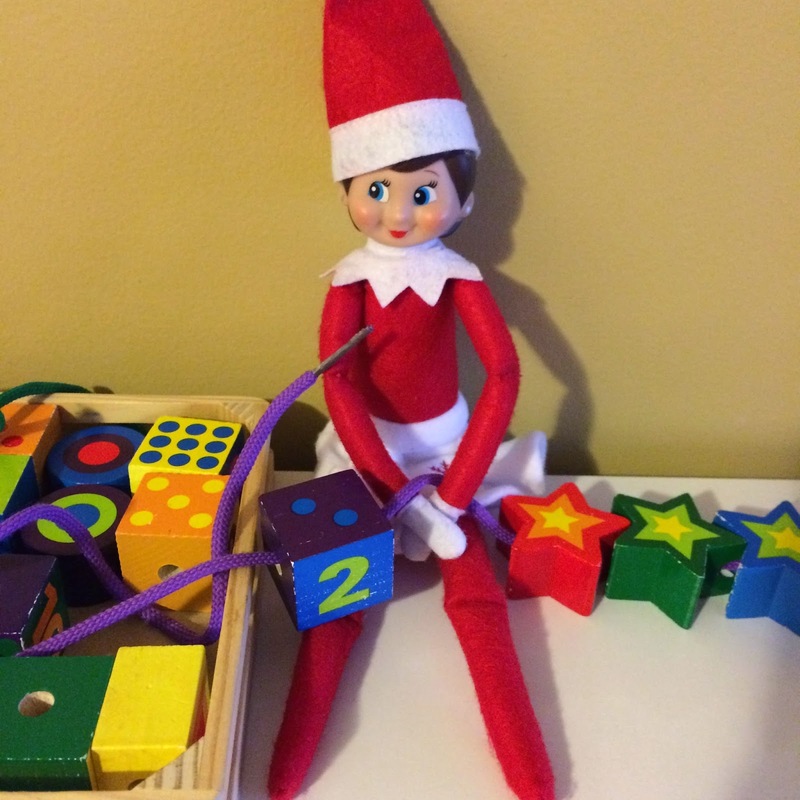 Our Elf has been quite a few places since she arrived. Unfortunately we are pretty limited as to where we can put Cocoa with a two year old running around the house. Blakely doesn't truly understand that she cannot touch Cocoa, so anywhere we put her needs to be out of B's reach. On Cocoa's second day, we found her in the Christmas tree! Cocoa knows about the true meaning of Christmas! 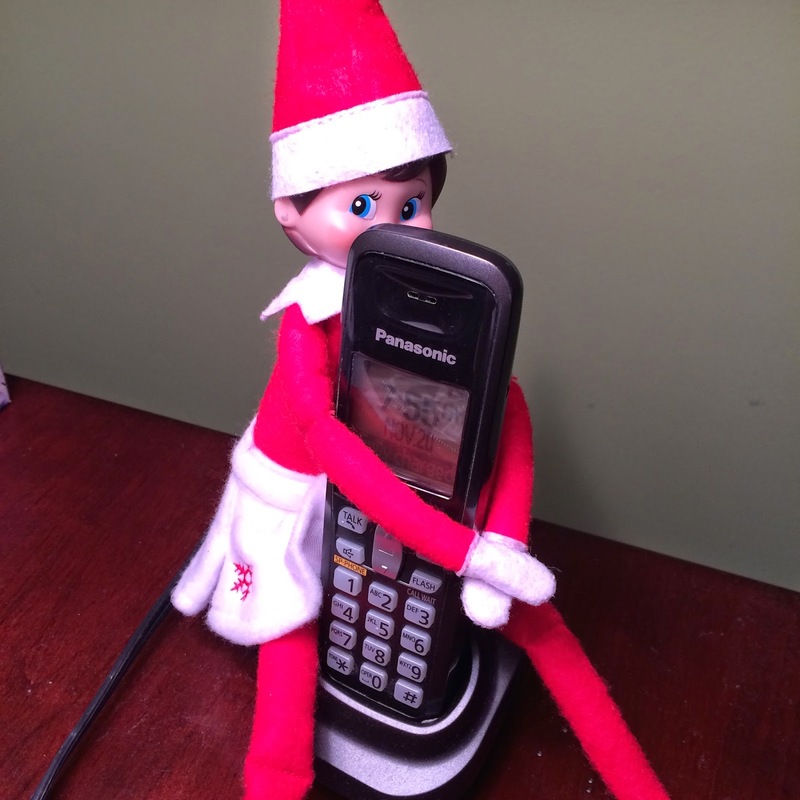 Cocoa hanging out by the phone just in case she has to place a call to the North Pole! Cocoa working on a lacing bead necklace! Cocoa watching from the top of the lamp! Cocoa enjoying a fruit pouch! 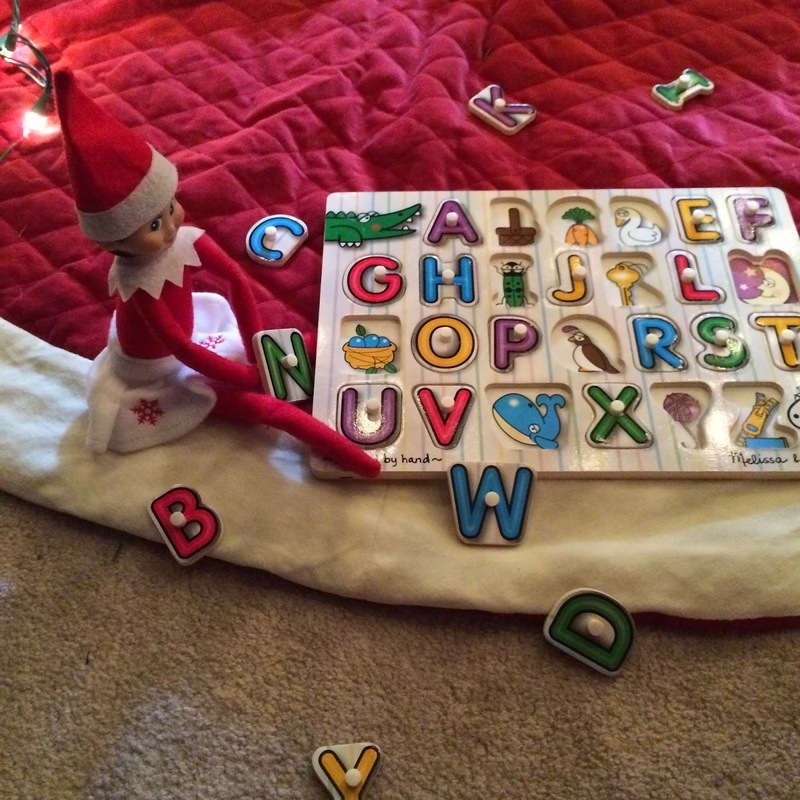 Cocoa working on her alphabet! 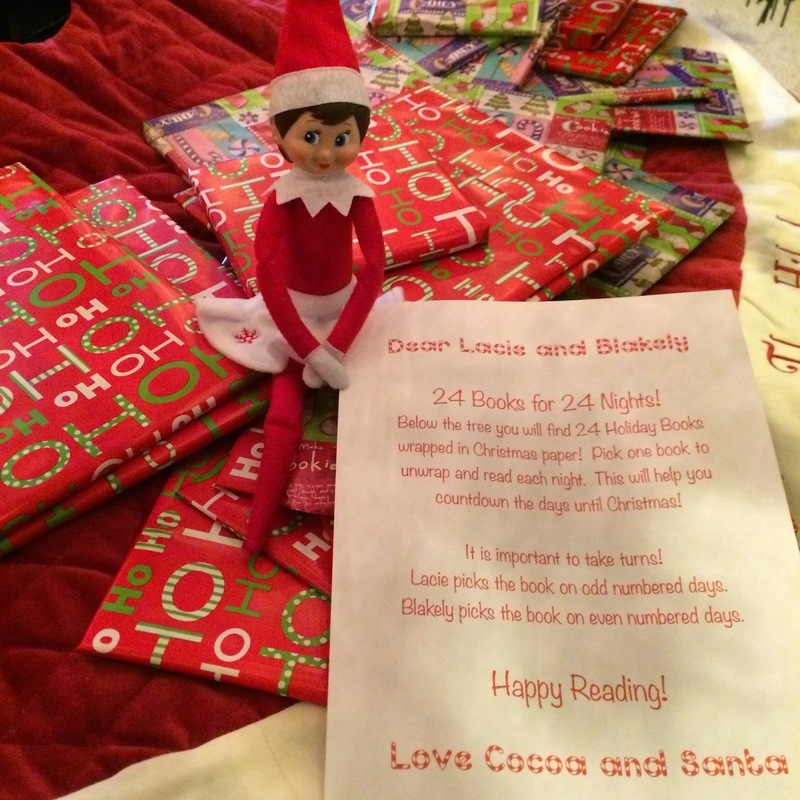 On December 1st Cocoa showed up with 24 wrapped holiday books! The girls will get to unwrap and read one book per night until Christmas. This was by far the best thing we did with Cocoa last year, and I am so excited to be doing it again. 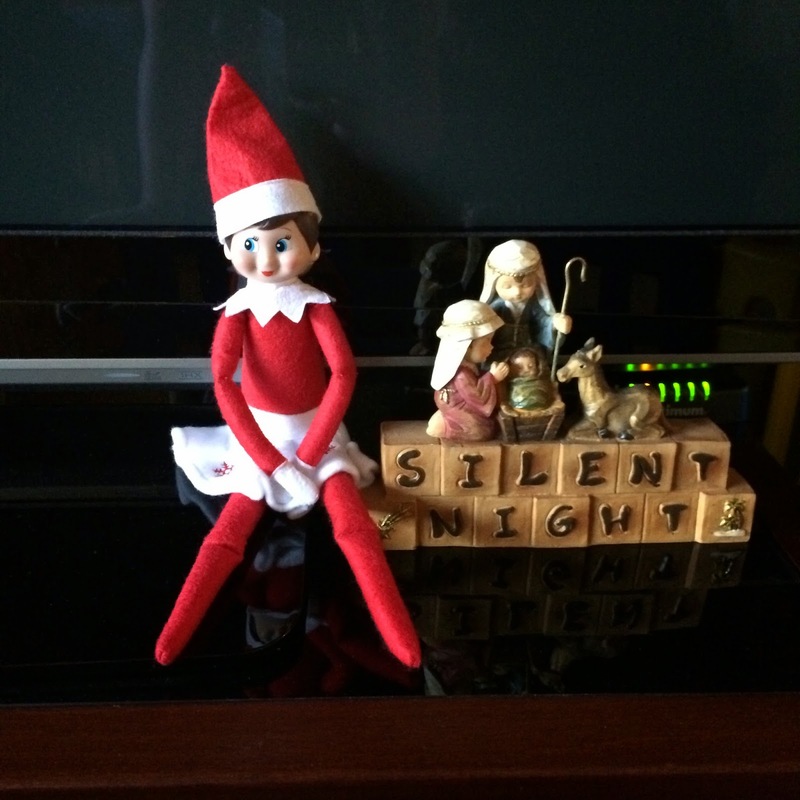 What are your creative Elf on the Shelf ideas? 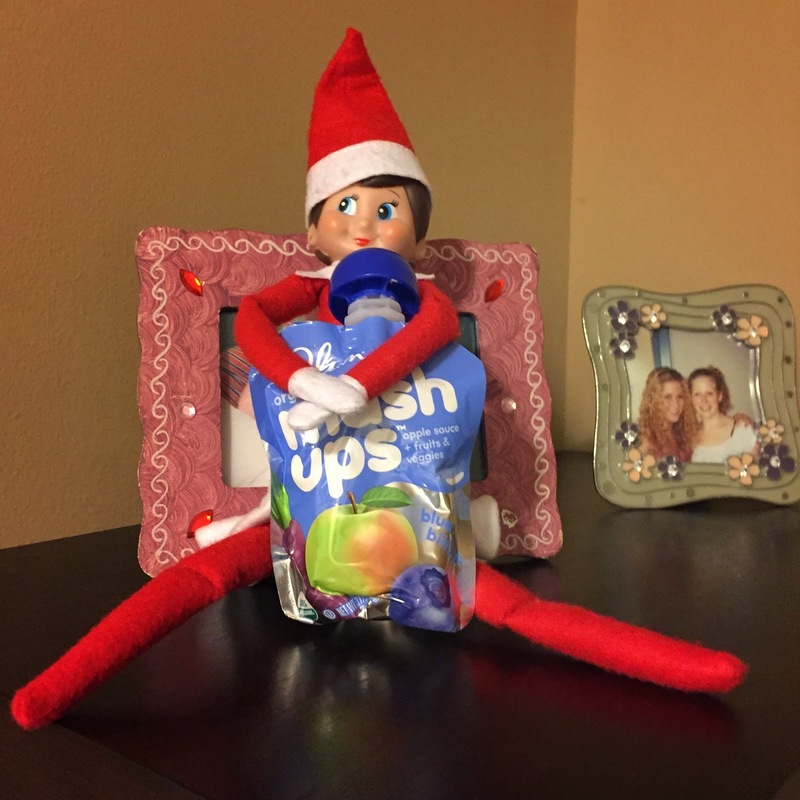 Still need an Elf on the Shelf? Get one here! 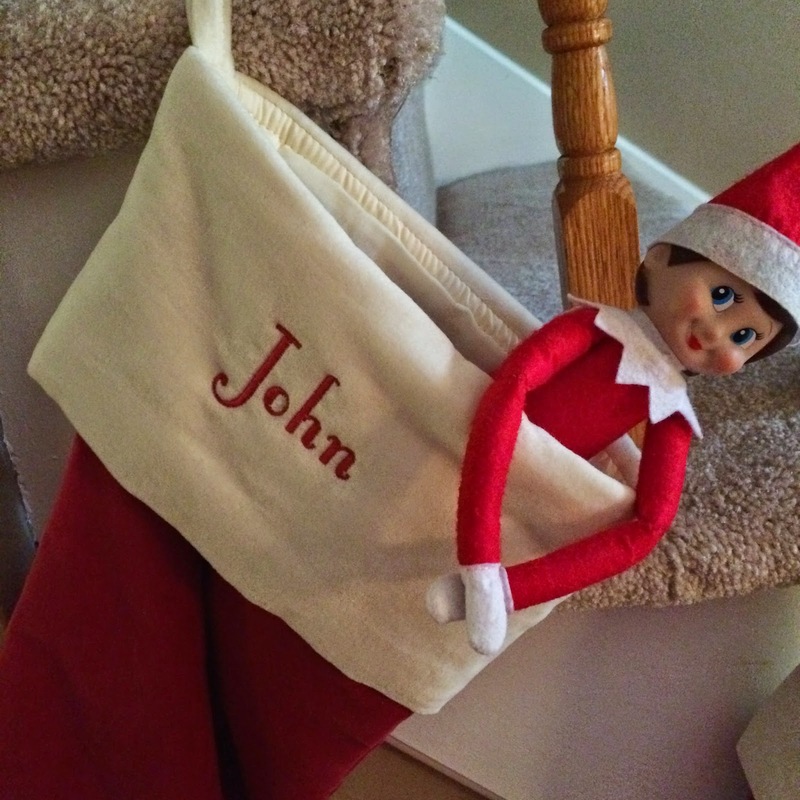 Looking for some fun Elf on the Shelf extras? Check these out!